Transportation is part of life. Without it, you cannot reach your destination. There are countries that discourage the use of private cars because it can congest the roads, contribute to air pollution and diminish world’s fuel supply. These countries encourage a mass transport instead. Singapore is one of these countries that support mass transportation. They have this Mass Rapid Transit (MRT). 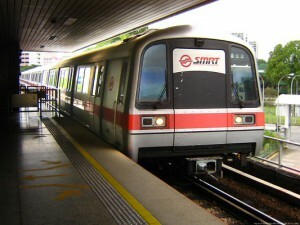 Their MRT has 102 stations that cover 148.9 km of lines which is operated by SMRT Corporation and SBS Transit. SMRT Corp and SBS Transit also operate buses and taxi. With this, Singapore’s public transport services are fully integrated. MRT stations are designed to withstand possible aerial bomb attacks. It can also serve as bomb shelters. Phone service is available between stations in the entire MRT network. Stations are air conditioned with LED TVs, Passenger Service Center and Ticketing Machines. Restrooms are available. There are stations with convenience stores, shops, ATM, kiosks, etc. MRT will experience series of expansion to further accommodate commuters in the years to come. The expansion plans will replace the bus network. Lines like Downtown Line, Downtown Line Extension, Eastern Region Line and North South Line Extension are under construction. Fares are determined by profit based corporations but it is still regulated by the Public Transport Council (PTC). The PTC will ensure that the fares are reasonable. MRT management is strict about eating and drinking. If you are caught or seen eating and drinking on any MRT in Singapore, you would pay a fine of S$500. If you carry flammable goods, you will pay up to S$5000. Smoking is a big no. You will be fined S$1000.